2.) The movie is only 65 minutes long, similar to Legend 1. The movie title for Legend 2 is 《闘走》"Dokusou", which literally translate to "Battle Run", but the actual meaning is simply "Racer". 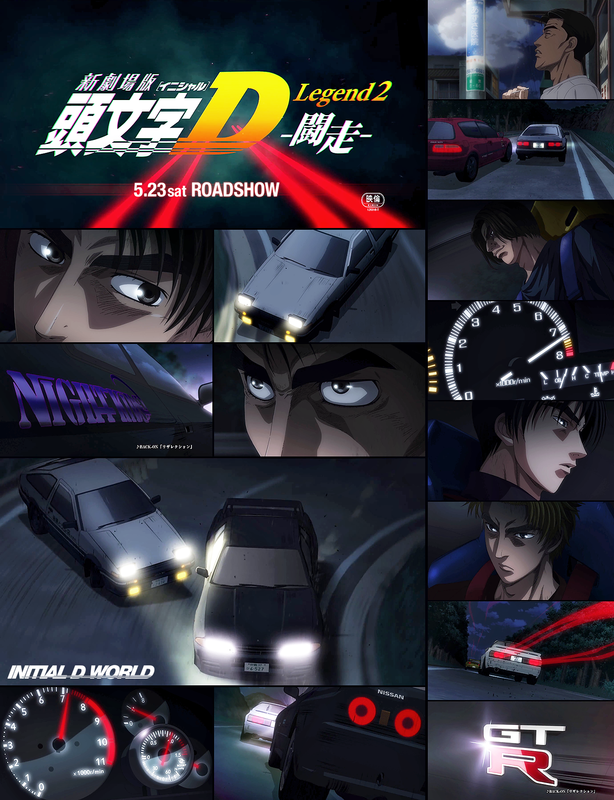 If you recall, this story plot was all about Takumi discovering the pride of a street racer. Takumi, at the time, still stuck with the mindset that one needs a reason to race. For him, driving was merely work and daily routine. As he explore the idea that driving can be fun and exciting, we see our protagonist slowly develop to become a true street racer. Image size reduced, original size: 1382 x 1800. Click here to view the image in its original dimension.